Please read all the information I have provided here before you ask for information on travel and amenities etc. 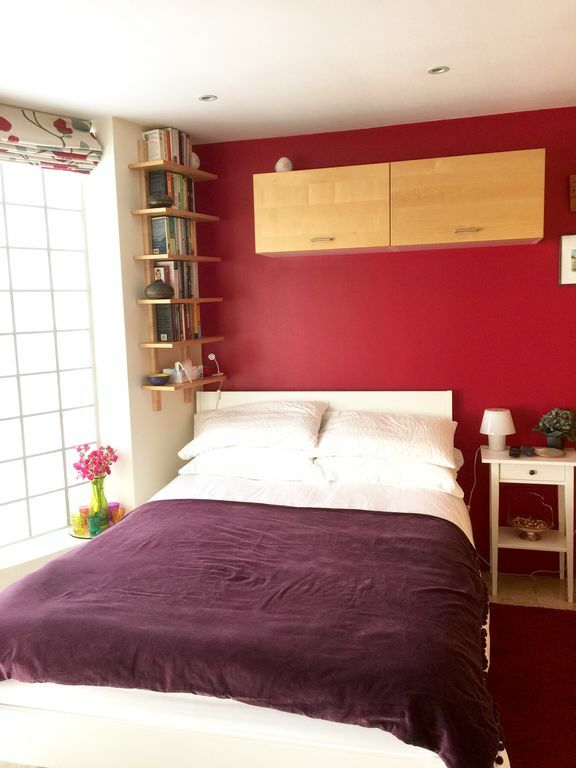 A lovely bright double bedroom with loads of wardrobe space. 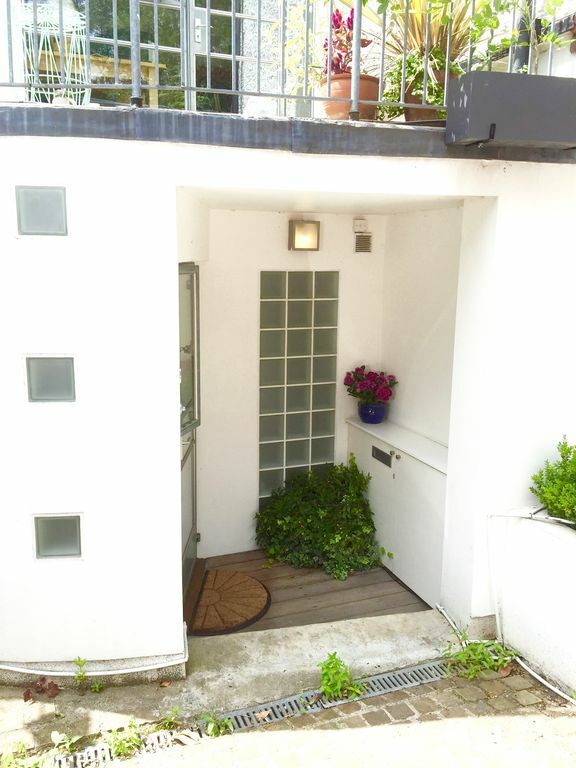 It has a mini kitchenette, private en-suit bathroom with shower and its own private entrance, door bell and undercover porch. 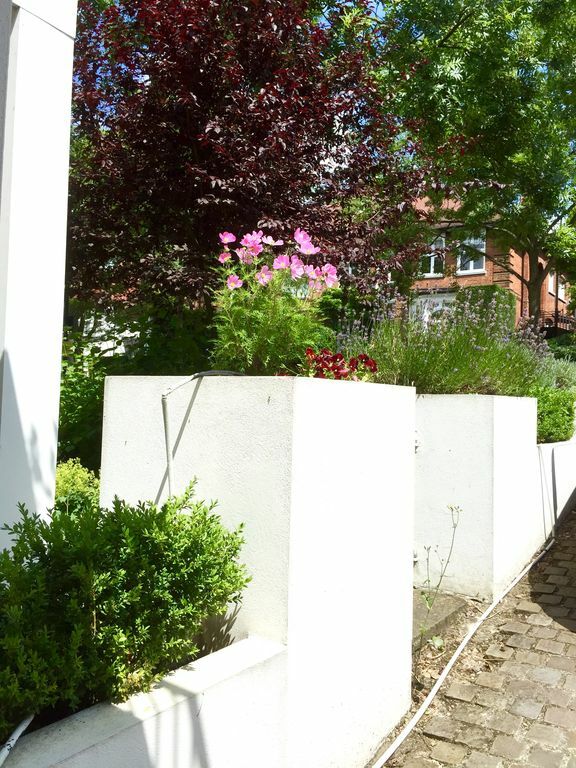 It is situated in leafy, historic Hampstead, on a quiet residential street 2 minutes walk to the wild open space of the famous Hampstead Heath and the manicured Golders Hill Park, both have lovely cafes/restaurants. The room is entirely private from the rest of the family house. My check in time is 2pm and check out time is 11am. I can be flexible with these times if you ask me. 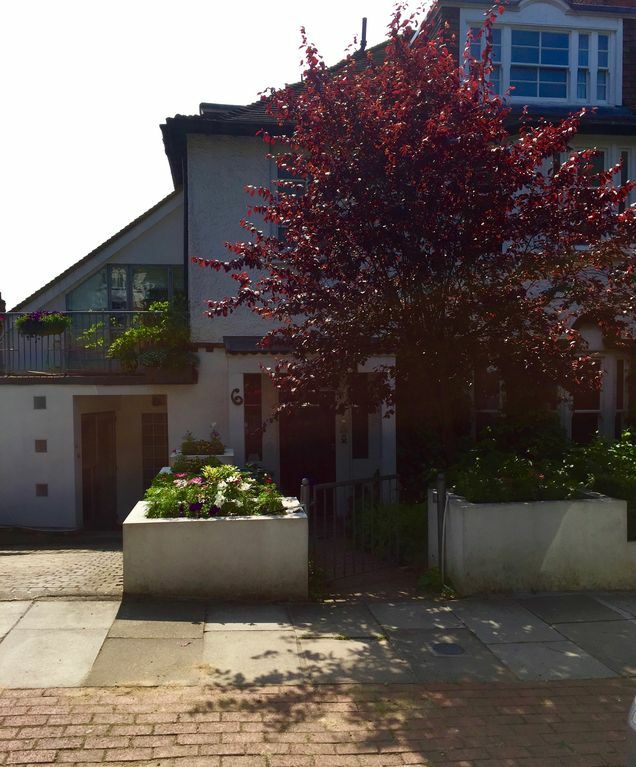 The house is a 5 min walk to the Finchely Road, with a constant steam of buses to Finchely Road Tube Station (the Jubilee line and Metropolitan line) from here it is about a 10 minute ride into the centre of town. The buses also go straight into London's West End, central London. It is a 30 bus ride from my house to Oxford Street. The busses also go to the main line station of Finchely and Frognal which has overground trains that go all over London. 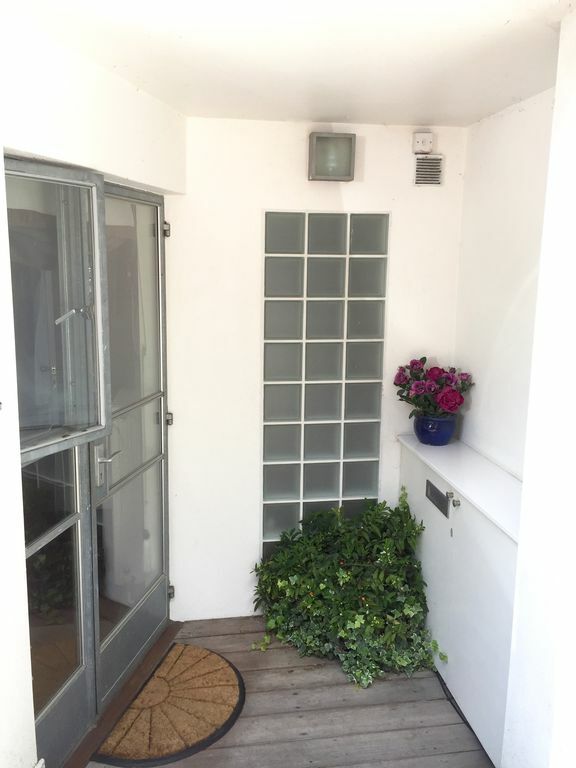 My house is 15 - 20 mins walk from Hampstead tube station. This tube station is on the Northern line. It is a 15 min tube ride to Leicester Square. There is a very clear map provided on this site, where you can see all the tube stations. Laminated maps to local shops, cafes, bus stops/tube stations and so forth are provided by me in the room. 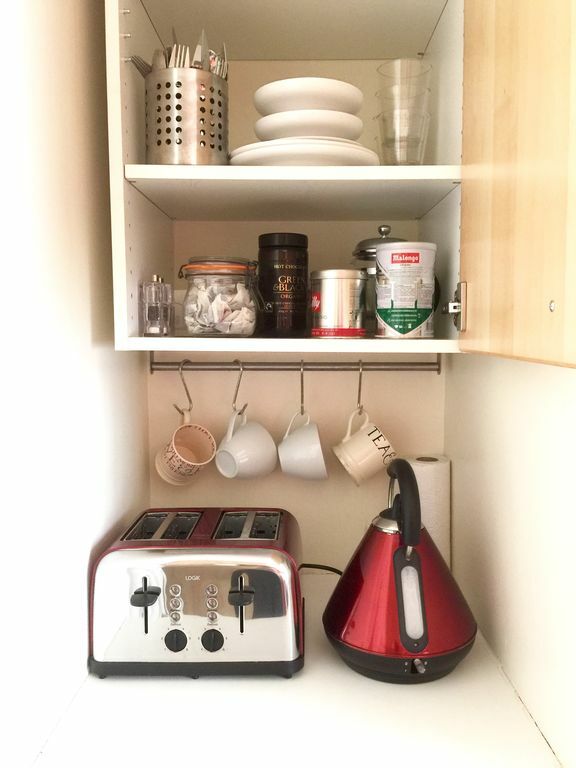 The mini kitchenette comprises of a toaster, microwave, fridge, kettle, crockery, cutlery and glasses. The fridge is stocked with the basics when you arrive. There is free WiFi, cable television with all sport and movie channels, flat screen TV and an iPod dock. There is also an inflatable mattress in the cupboard that can be used for a child, there is a £30 fee for a child. 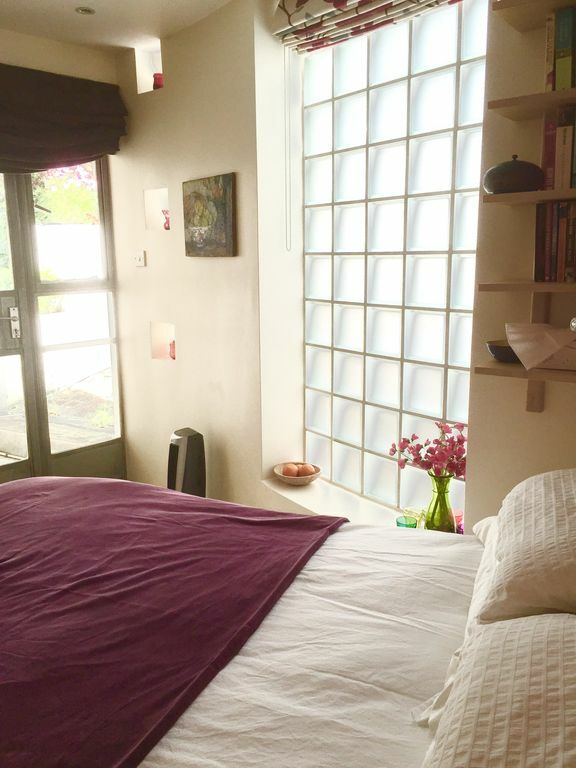 Clean towels, bed linen and dressing gowns are provided and can be changed if needed (for a fee). 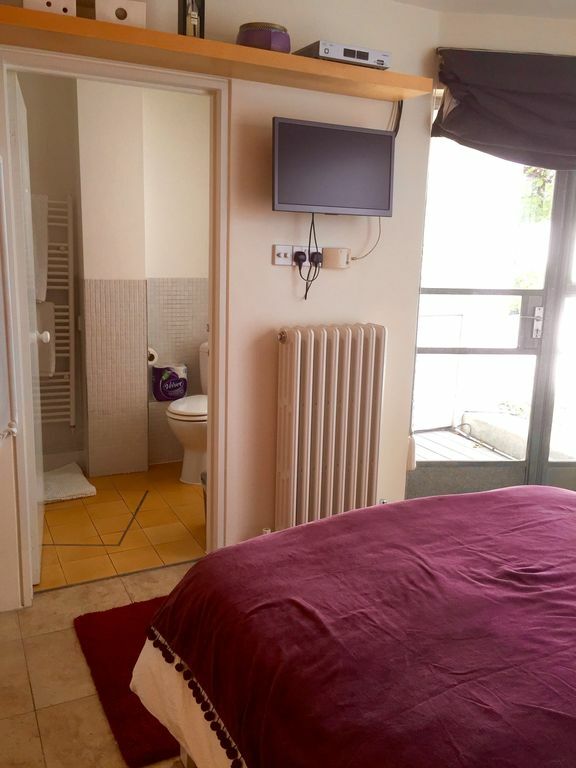 The room can be cleaned during your stay, with the sheets and towels changed (£30) and laundry done if needed. (£10 per load of laundry) Washed and dried, not ironed. 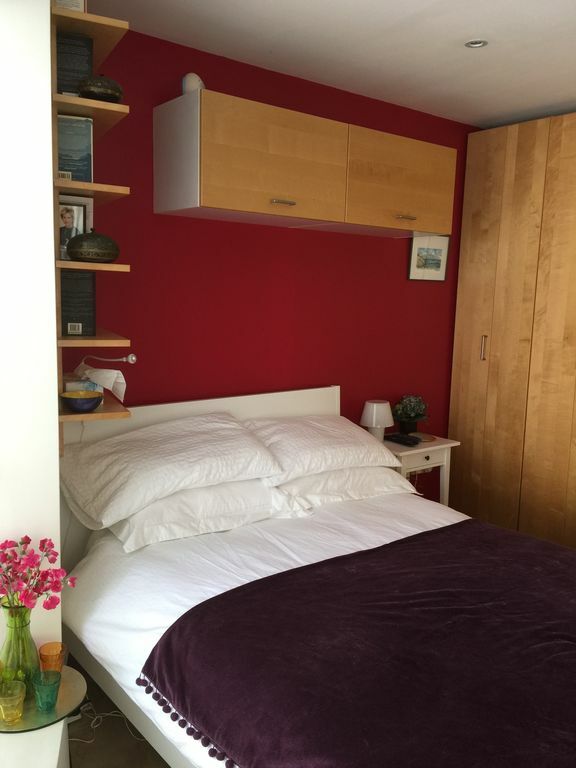 The room has plenty of storage space, a full wall of empty cupboards. 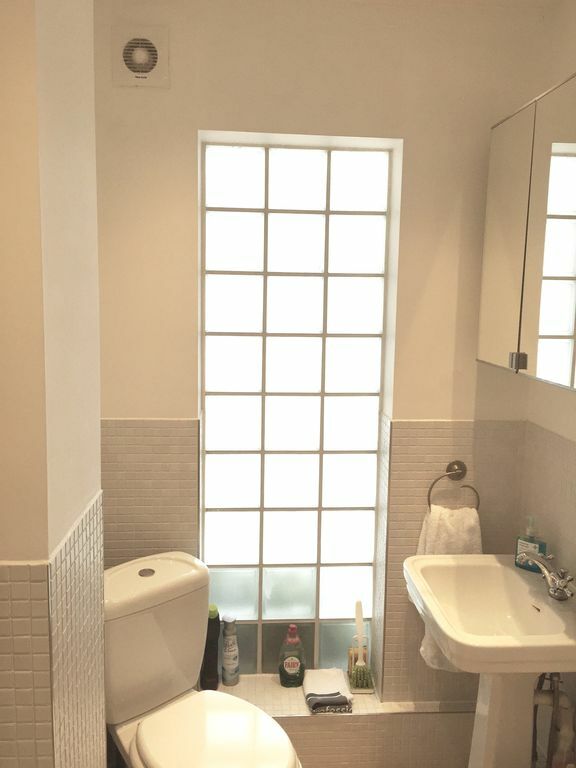 There is a heated electric towel rail in the shower room and underfloor heating in the bedroom if needed, along with a radiator and blow heater/fan. 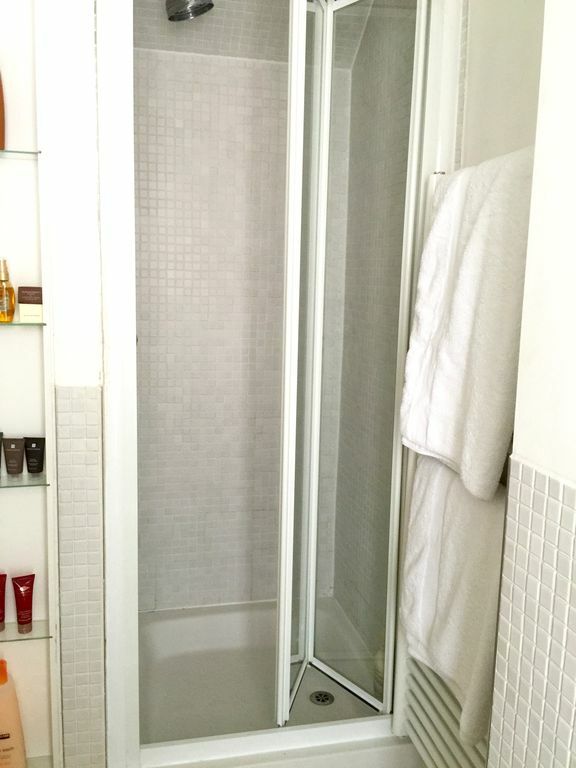 There is also a de-humidifyer to use after showering. Shower gel and shampoo are provided. A hair drier is also provided in the cupboard over the bed. 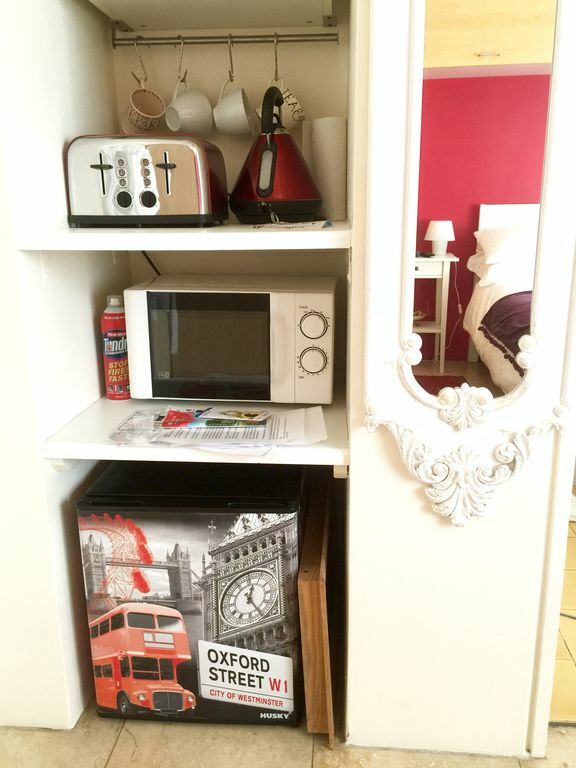 There are two folding chairs and a table in the wardrobe. These are lovely to use in the warmer months outside on the covered porch.